The tour kicks of on March 17th at the Revention Music Center in Houston, Texas. Sean Don plans on making stops in Los Angeles, Minnesota, Detroit and more. 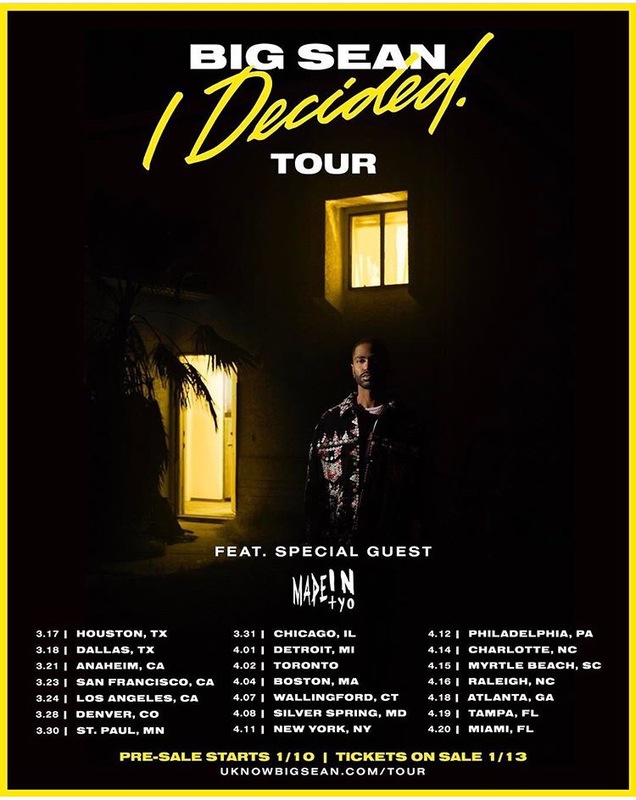 The I Decided Tour rolls into Chicago on March 31st from the Aragon Ballroom. Check out the complete list of dates below or HERE.